Newtek was nice enough to give away LWCAD to pre-registered Lightwave 9 owners last week. Well, I just got around to install my copy and giving it a first try. At first glance it seems just wonderful, so I decided I’m going to make a little arch viz, using as much of LWCAD’s tools as possible. 3D and CAD gets a nice marriage with these tools. 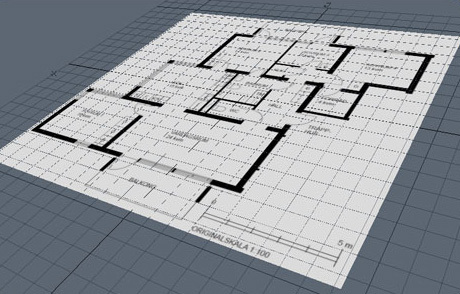 I just got a floor plan of a larger apartment imported into Lightwave. So let’s see where this little baby will take the image I’ll create this time.